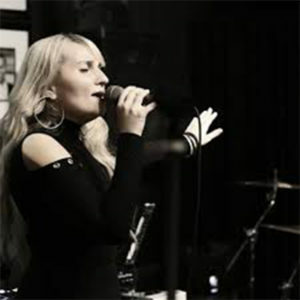 Alicja LeShae (born Alicja Lesik) along with mother and two sisters always had a special connection with music from a very young age following her father’s footsteps – as he is a singer, too. Alicja has been traveling a lot since she was just 12, residing in Germany, France and now Atlanta, GA (USA). She has learnt multiple languages and familiarized herself with different cultures, which of course has a distinct impact on her music. As the singer studied at the Pop and Jazz University in Berlin, she started touring alongside national recording musical acts like ‘Band Ohne Namen’, Oli P. (B.O.N) and ‘Melendiz’, which then led to live performances on MTV (Germany). Soon after, Alicja and the band ‘B.O.N’ achieved a Gold Record for one of their songs ‘Take My Heart’ which now has far more than a million views on YouTube. JPAT Records (USA) invited LeShae to perform in Georgia, state of Atlanta to perform as one of the opening acts for a famous R&B artist Usher. This event inspired Alicja to set new high aims for her music career, as she decided to return to the States one day to perform alongside major artists like Usher, Mariah Carey and many others. That’s why after returning back to Germany, she started practicing with nobody but David Lee Brewer himself, who was Beyonce’s vocal teacher for many years. Since she became an accomplished singer in Europe, Alicja felt she was ready to take a new height and accomplish the goals’ she has set. The singer started off her career in the US by working with TI’s producer, Stroud. Daryl Simmons (best known for his association with LaFace Records production duo L.A Reid and Kenneth) became an executive producer of her first US release titled ‘When You Are Not Around’. During a period of working in the States, LeShae also recorded vocals on a soundtrack from the BET movie called ‘Throwback Holiday’ and participated in various projects, like recording background vocals for a special Christmas album of an R&B band ’After 7’.